Senate passes law to establish Maritime University in Niger Delta – Royal Times of Nigeria. The Senate has passed the bill for the establishment of Nigerian Maritime University in Delta State, thereby bringing the proposed school close to gaining statutory status, three years after its foundation was laid. The groundbreaking of the proposed school at Okerenkoko in Warri south-West local government area was done by former President Goodluck Jonathan in 2014 and, according to the Minister of State for Petroleum Resources, Ibe Kachikwu, physical assets were on site. However, there was no law backing the establishment of the university. 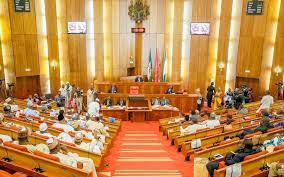 The bill for its establishment was passed by the Senate on Thursday, following the report of the committee on tertiary education and TETFUND chaired by Barau Jibrin, APC-Kano. The bill was sponsored by James Manager, PDP-Delta. The passage came well over one year after the Minister for Transport, Rotimi Amaechi, hinted at the scrapping of the school whose founding he described as a “misplacement of priority” and “waste of resources”.